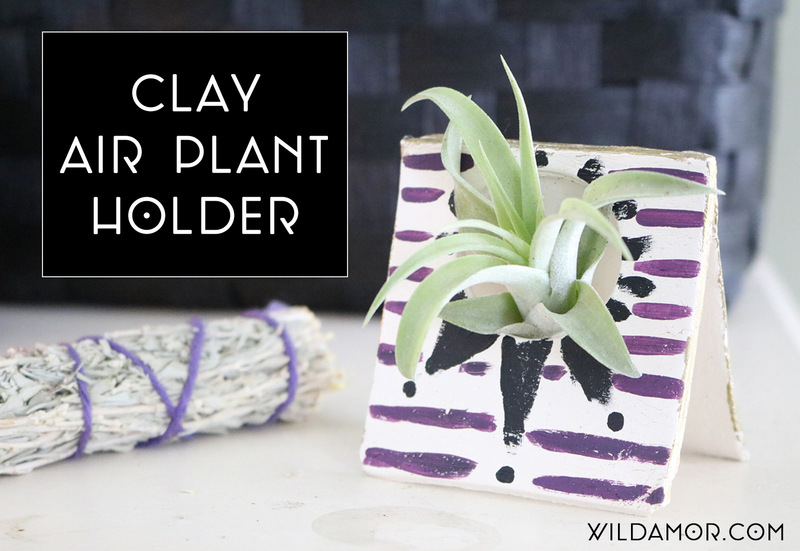 No matter the shade of your green thumb, air plants are always a win. Aside from the fact that they are ridiculously easy to care for, they don’t need any soil. This means they can hang out on (almost) anything and everything, which is great news for us crafty folks. For example, do you eat eggs in the morning? 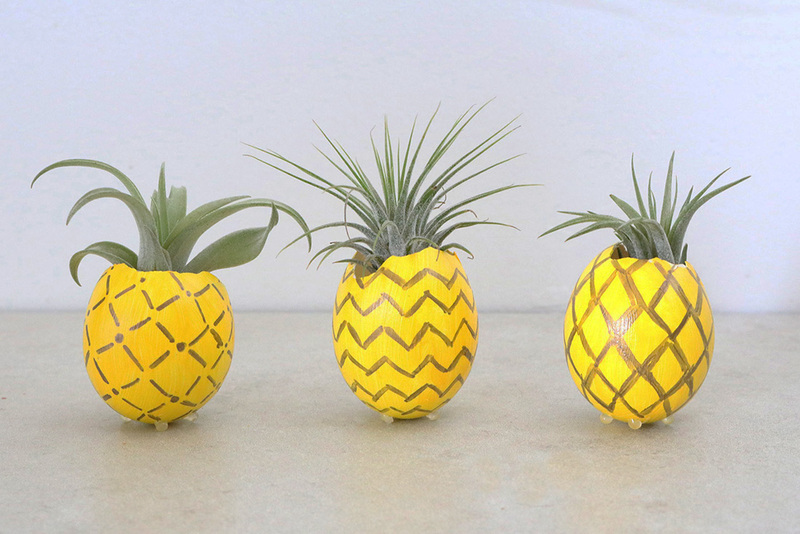 Save the shells and make pineapple plant holders. (Or make a quiche, just so you have an excuse to make them.) 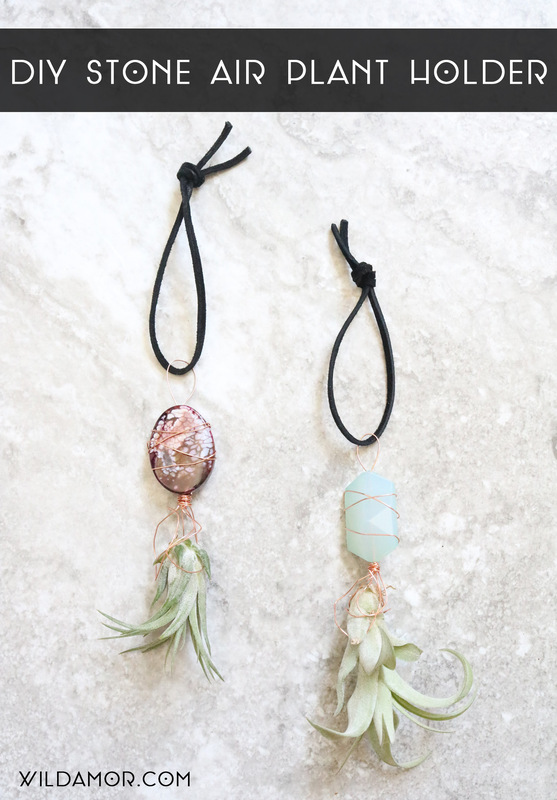 If you dabble in jewelry making, use wire to create a stone air plant holder. 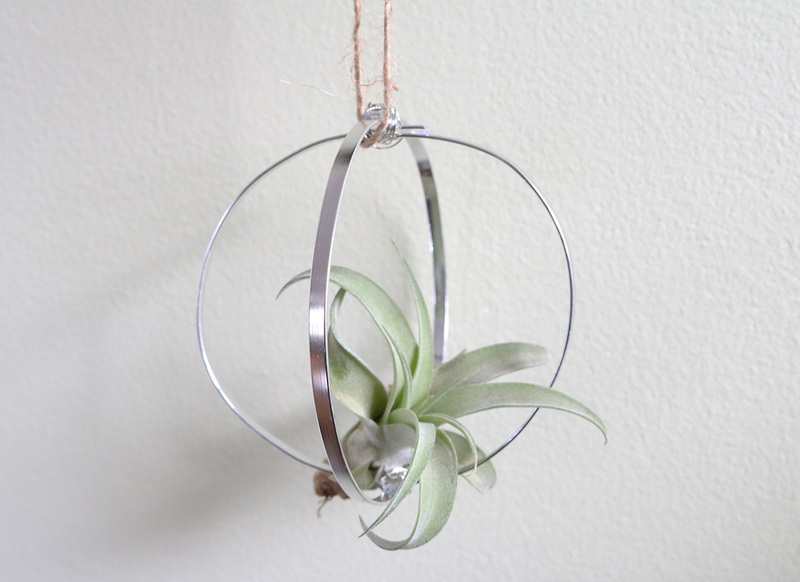 Even sea shells and copper pipe couplings from the hardware store double as homes for air plants. Needless to say, I’m always on the lookout for new ways to display these spiky little guys. 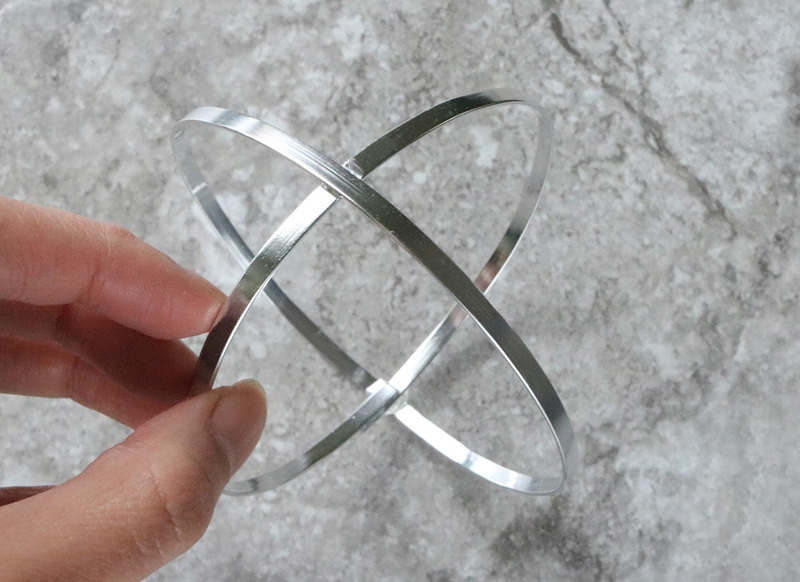 So, for my latest project, I created a super simple orb holder with flat jewelry wire. The design and shape has some major minimalist vibes going on, so it will pair well with basically any room. 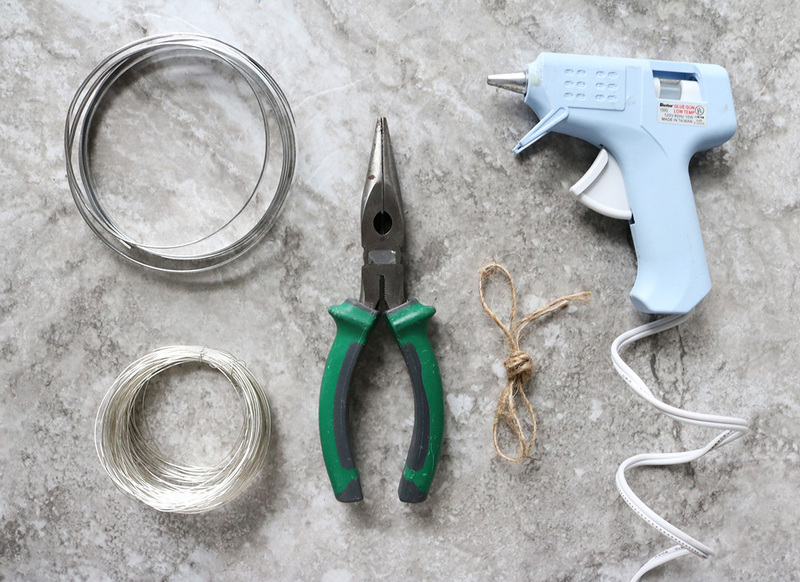 Here’s how to make it yourself. 1. Cut two strands of wire, one slightly large than the other. 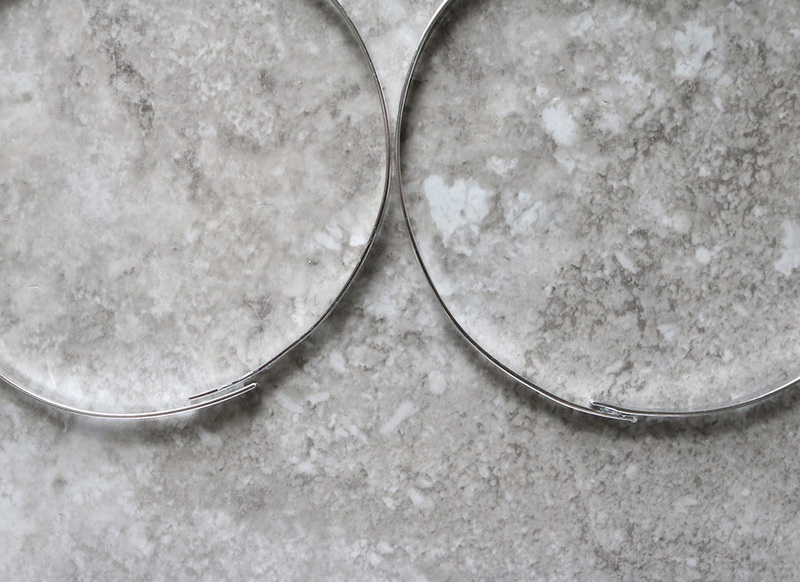 Leave each strand in its natural circular shape. 2. Hot glue the ends together. Again, make sure one is slightly bigger than the other. 3. 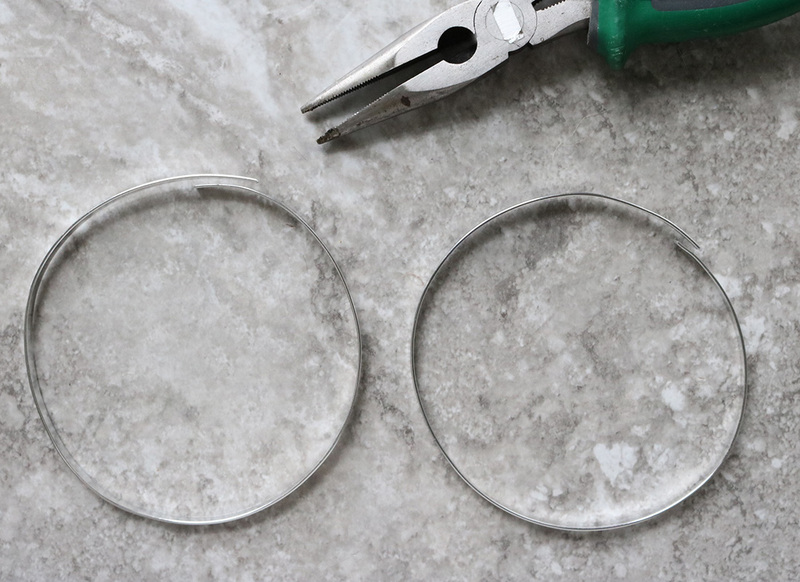 Place the smaller circle inside the other, creating a perpendicular cross-section along the top and bottom. Carefully hot glue in place. 4. 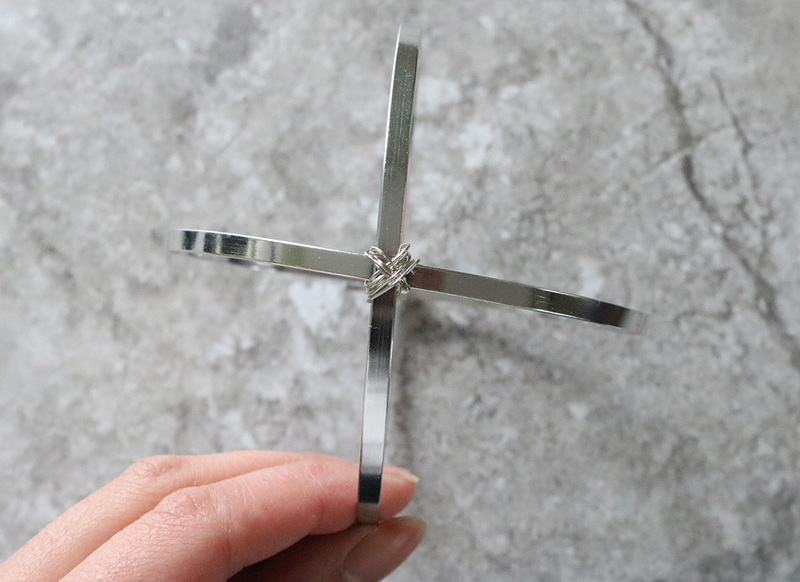 If you’d like, wrap a strand of 24-gauge wire around each cross-section. 5. Hang the orb on a strand of hemp, cord, yarn, or any other thick string. Done and done. I’m loving this super easy project! You can even spruce it up by wrapping embroidery thread around the wire or adding embellishments like flat studs, rhinestones, or charms. Craving more color? 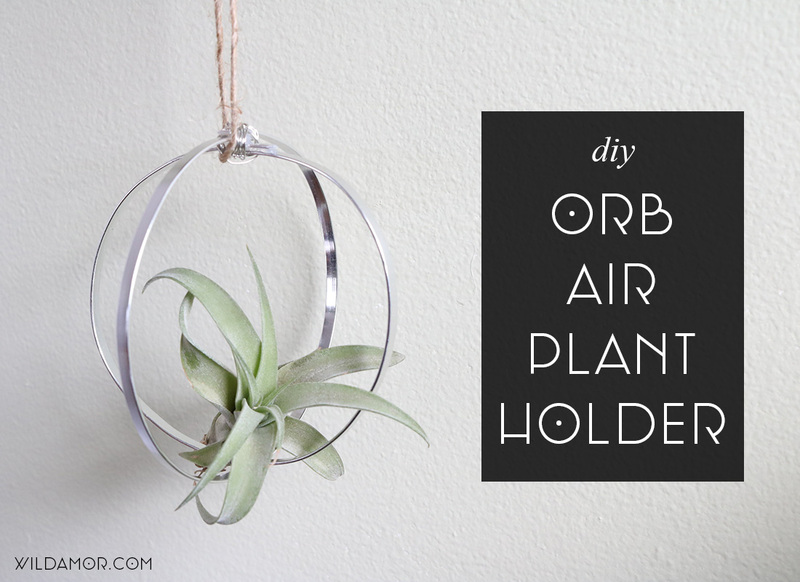 Spray paint the orb for a vibrant holder. Hope your plant babies enjoy their new home!